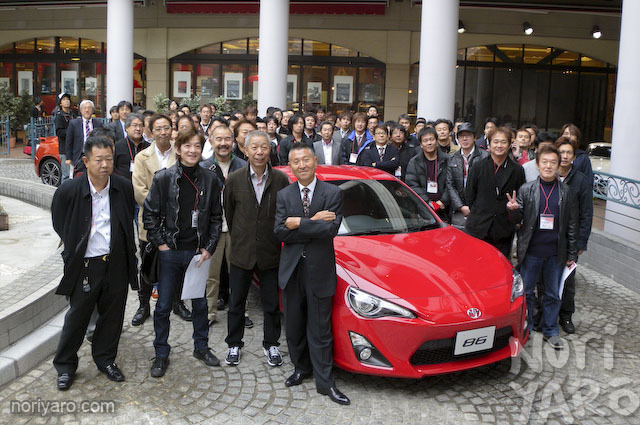 The 86 meets the Godfather, Daijiro Inada, and “the family”. 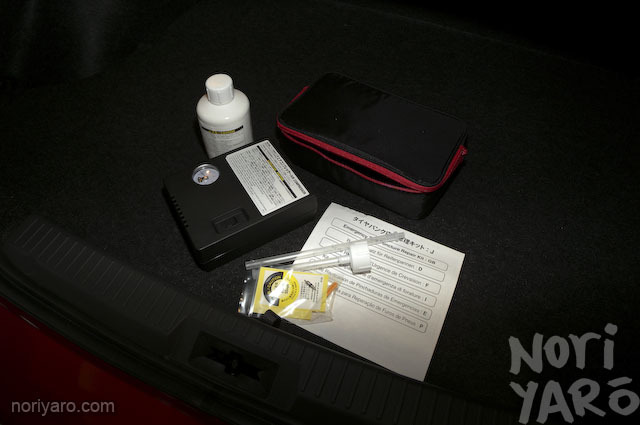 …and I managed to get a drive! 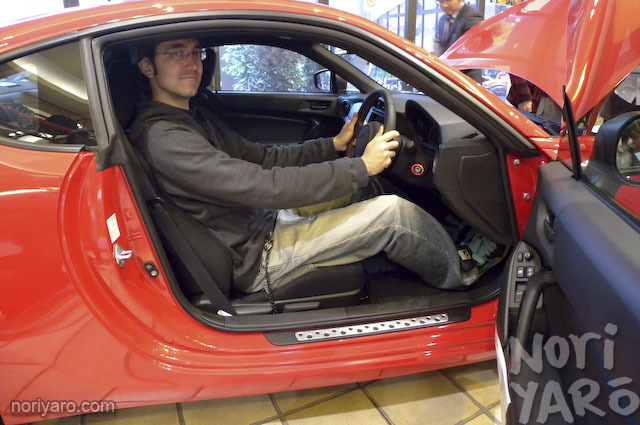 Last Thursday, I attended a “modifiers only” event at the Toyota History Garage, where the Toyota 86 was first introduced to some of the many companies that will be making parts for it when it’s released to the public next year. 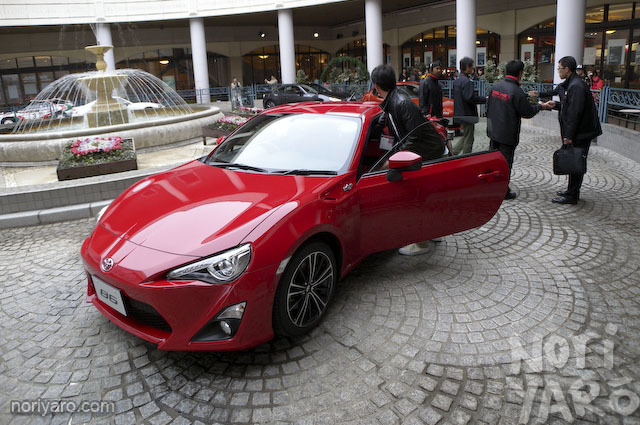 While the specs of the car are already available to aftermarket companies through NAPAC, this was a chance for everyone to drive the 86 around a short test course, and question the Toyota staff about the car. 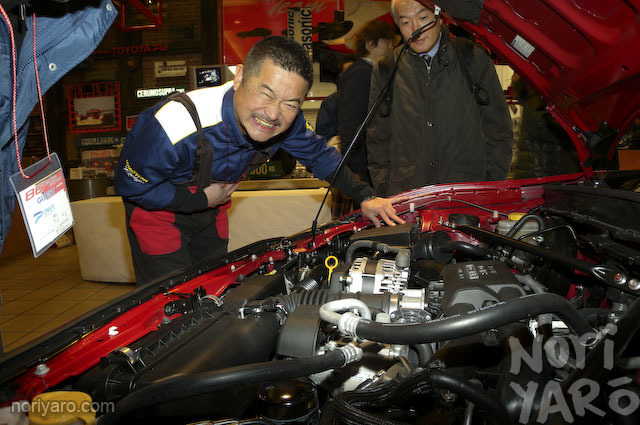 The list of attendees were more like the sort of thing you’d see at the Tokyo Auto Salon. Names like HKS, Veilside, Watanabe (yes, the wheels), Bomex, and a few more you’ll see below. This was my first time seeing the actual production model too. On first impression, I like it. I was ticket number 58 for a manual car, so with only three manual cars and one flappy-paddle automatic, I had a long wait before my drive. 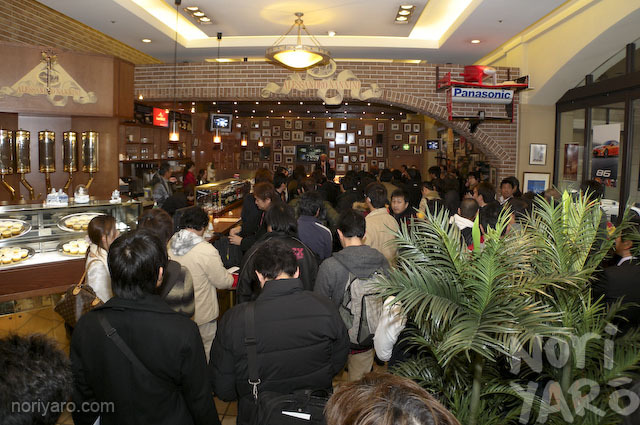 At least they had lots of food and drinks inside. While waiting for my turn, I gave the display model inside a bit of a try-out. It’s a little bit better than a Roadster or S2000, but now you might see why I like driving sedans! Lots of people were keen to have a bit of a look at the engine, mostly to get an idea of the layouts of the various bolt-on bits. 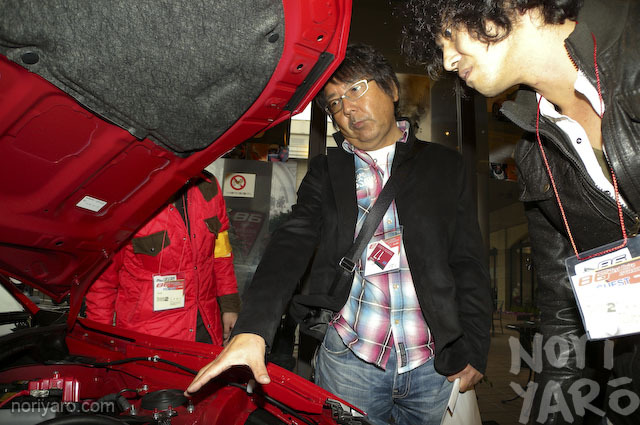 Yashio Factory’s Okamura and Option2′s editor Kacchi. Bee☆R’s Imai. 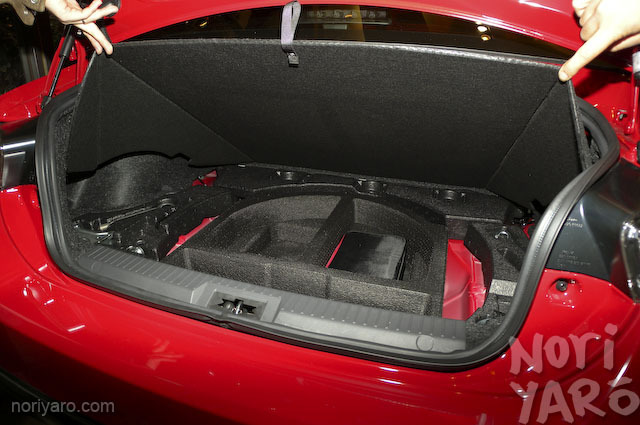 If you haven’t seen it already, check out these shots of Imai’s personal AE86! 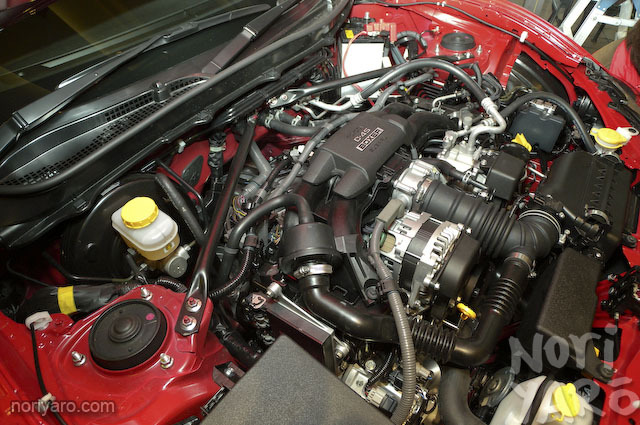 See the vertically-mounted oil filter right at the bottom of the photo? Easy oil changes! To kill more time, we had a bit more of a poke around the display model. No spare tyre, just this electric pump and sealant gunk. Oh God, look at that dickwad Yokomaku. Can’t wait till someone buy one and strip it completely with some light engine and chassis tuning and take it around a track for some drift action, I’m curious to see how it’d perform. 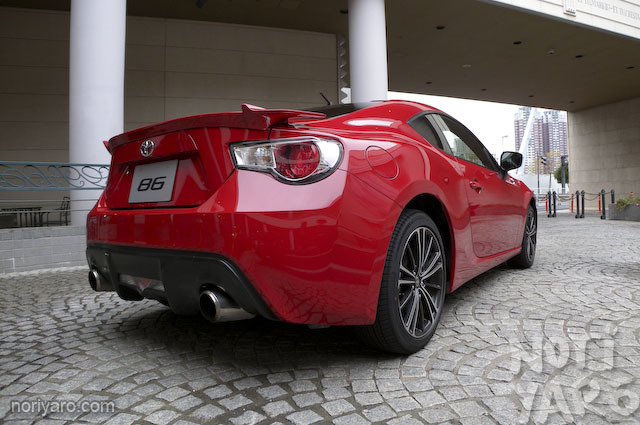 can’t wait to see Vertex and Yashio bodykit for GT-86. Great job…how tall are you?